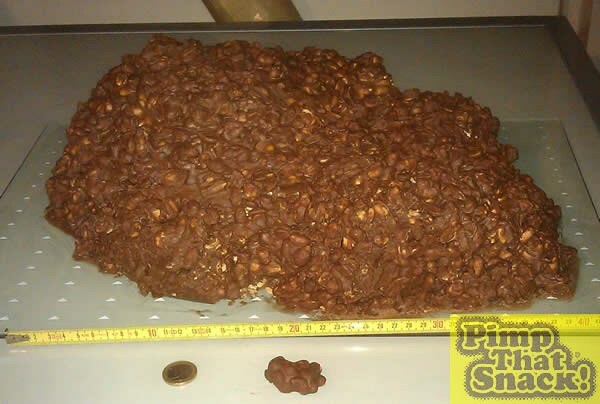 Production of a chocolate peanut rock … or in this case Mountain! 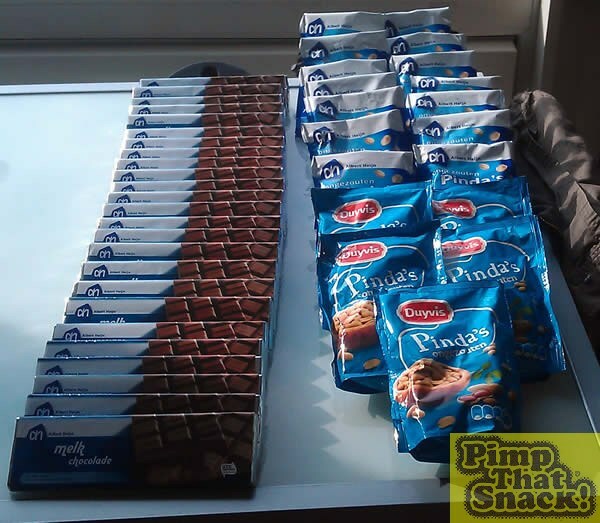 We also wanted to pimp a snack and we noticed nobody has ever tried to pimp a chocolate peanut rock. 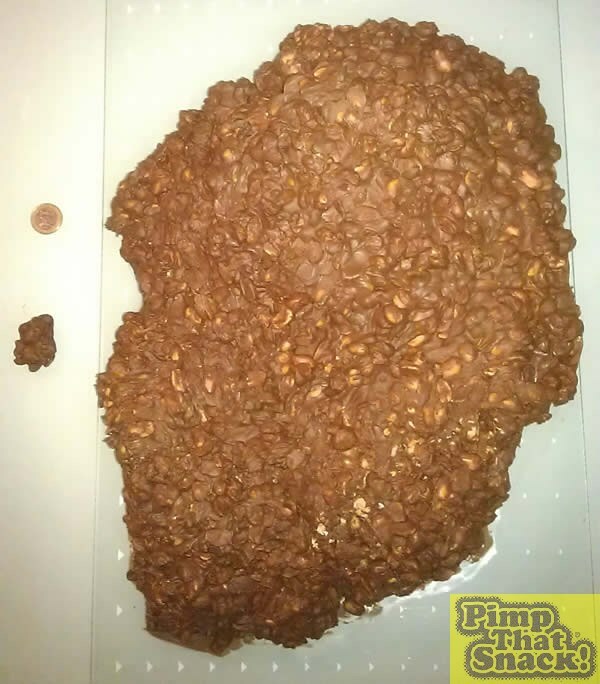 So our mission was to pimp a chocolate peanut rock into a chocolate peanut mountain! 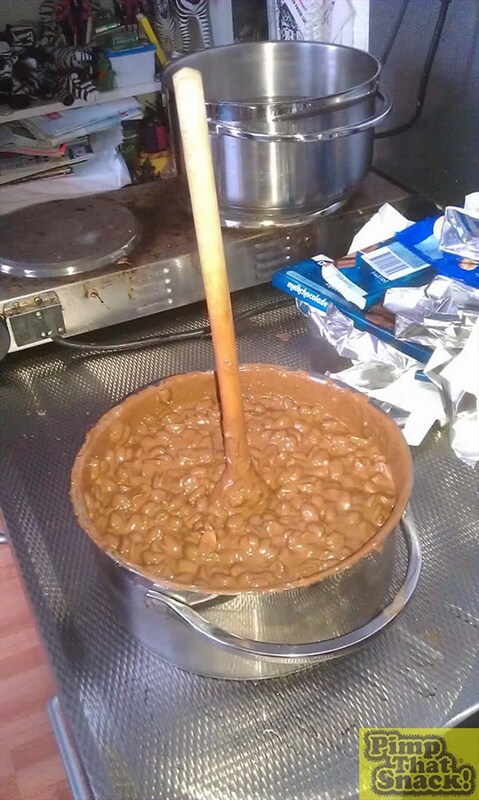 Step 2: Melting some more chocolate! 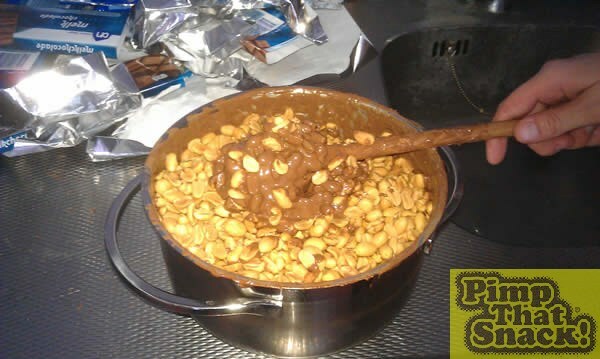 Step 3: Adding the peanuts around 50/50 with the chocolate. Step 4: Birth of the Mountain! 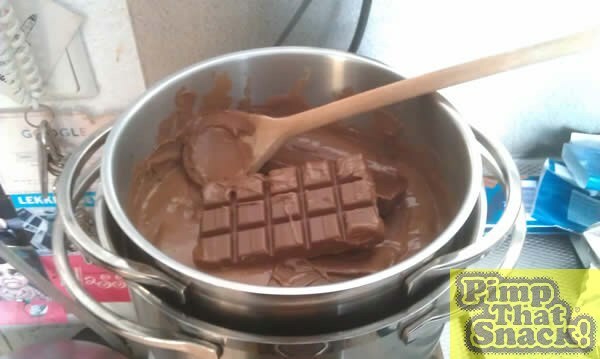 Step 5: Melting MORE chocolate. 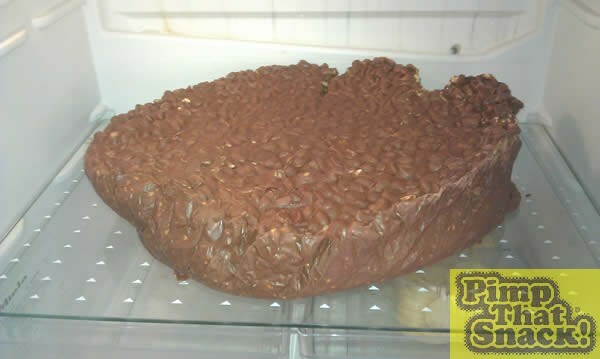 Step 7: Check the quality of the substance. 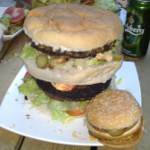 Step 8: Rise of the Mountain. Step 9: At this point the Mountain couldn’t grow higher without any support.. in this case we used towels. 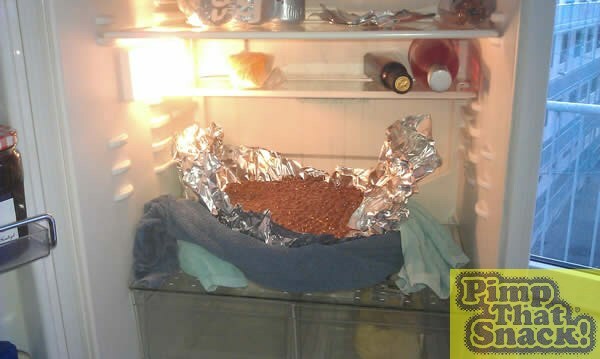 Step 11: The next day we removed all the aluminium foil. 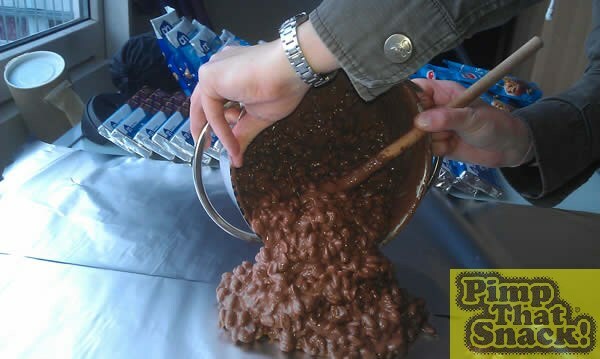 Step 12: Melting moooore chocolate and adding peanuts to reach our goal of 10kg. 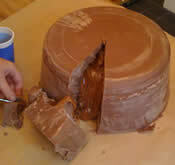 Step 13: Modelling the Mountain to its final state.